I have to admit that recently I havent found the time to check the TimesÂ´ website regularly myself. Thanks god, there are enough people out there who do a good job in selecting the must reads. There are two of them this week. One is “Bicycles That Carry Powerful Beats, and Even a Rider or Two” by Corey Kilgannon and the other one is “Setting the Beat, and the Style” by Ruth la Ferla. 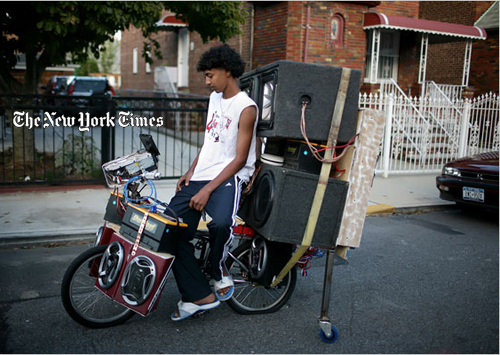 The first article deals with youngsters that turned their bikes into mobile discothÃ¨ques. Most of them have a Caribbean background and carry their homeland tradition of looking at music as a common good of the people for the people to the streets of Richmond Hills, Queens, NYC. 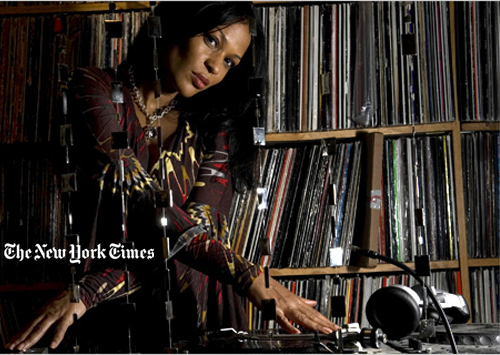 The second article is on female DJs and their role of being the modern fashion icons. For her article, Ruth la Ferla interviewed a bunch of female DJs that currently rule the NY club scene. “D.J.-ing is “all about self-promotion, about getting on somebodyâ€™s photo blog,” she said. “You have to play that game. Because nobody is going to take your picture for Lastnightsparty if you look regular.”"
P. S. You might have to register at the NY Times website to view these articles.